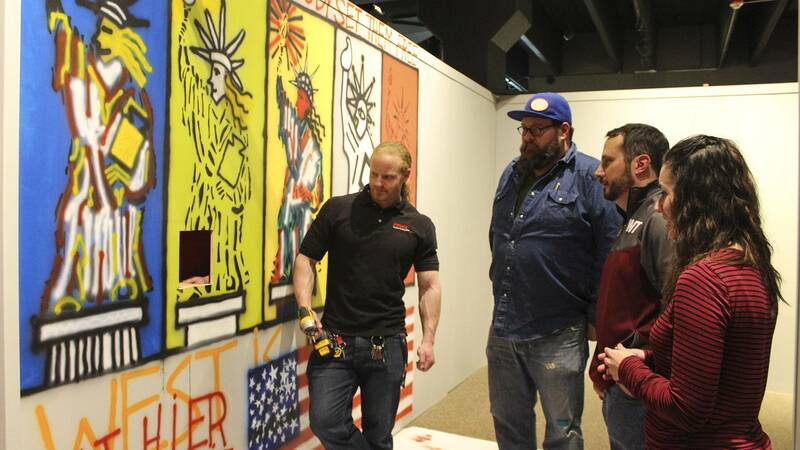 Panhandle-Plains employees finish installing "Pop Culture." A pair of new shows opening this weekend will explore the importance of the lighter side of life. Panhandle-Plains Historical Museum's Pop Culture, which includes four separate installations, and Don Harrington Discovery Center's Wild Music both open to the public Saturday. Pop Culture will be open through the rest of 2018; Wild Music will be on view through May 20. In the former, PPHM, 2503 Fourth Ave. in Canyon, will examine American life from the 1950s through the 2000s through the lens of popular culture. That's more recent time period than many exhibitions at the museum — and quite specifically so. "This is a way for us to continue to get artifacts ... from the 1950s, the 1960s, the 1970s, the 1980s," said Buster Ratliff, PPHM development director. "We need those in our collection, so this started as an idea for how to build up our post-World War II collection." After all, Ratliff pointed out, "history is yesterday." 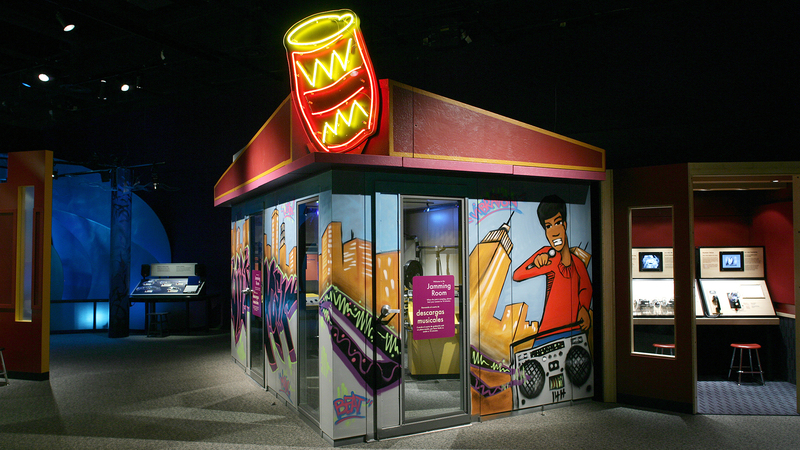 A Cultural Revolution, in the Harrington Changing Gallery, walks visitors through the 1950s through the 2000s, focusing specifically on major historical topics from the Civil Rights movement, the Space Race, the Korean and Vietnam wars, the countercultural movement and more. And PPHM Theatre, in the Alexander Gallery, will feature favorite movie moments from the past 60 years. "Especially in RCA and Day, we want nostalgia," Ratliff said. "We want you to create your own story in the gallery. The labels are very minimalistic by design. We want people to instantly go, 'Oh man, I had that in my bedroom. I wore those shoes. I had that poster on my wall.' It just creates your own story. "That's our job — telling stories," he continued. "It's not the PPHM's story, it's the Panhandle-Plains region's story." "Wild Music," which opens Saturday at Don Harrington Discovery Center, includes a listening station. At the Discovery Center, 1200 Streit Drive, the new Wild Music touring exhibition is a production of the Science Museum of Minnesota, the Association of Science-Technology Centers, and the University of North Carolina at Greensboro School of Music. It explores "evidence for the biological origins of music through highly interactive exhibits and exceptional sound experiences, and — in the process — expands our understandings of what makes music," according to the exhibition's website. The exhibition features hands-on activities exploring music that surrounds people daily — from the sounds of nature to those made by human hands and voices. PPHM hours are 9 a.m. to 5 p.m. Tuesdays through Saturday (plus March 12 during spring break). Admission is $12.50 for adults, $10 for seniors and military, and $6 for children ages 4 to 12; group rates are available. Call 806-651-2244. Discovery Center hours are 9:30 a.m. to 4:30 p.m. Tuesdays through Saturdays and noon to 4:30 p.m. Sundays. Admission is $11 for adults and $8 for children, students, military and seniors. Call 806-355-9547.